This week in our investigation of collaboration and brainstorming tools, we're checking out collaborative document editing tools. Last week we took a brief look at some mind mapping/idea mapping tools and next week we'll wrap up with a look at some workgroup applications. 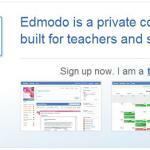 As I researched no cost or low cost online document collaboration tools, I found some, such as the intriguing Edmodo.com (intended specifically for education use), that are more logically classified as workgroup applications. I was searching specifically for web based applications that were commonly cited as collaborative document editing tools, and settled on two that I came across repeatedly. Google Docs has garnered a lot of attention over the last year or so, and Zoho Office Suite was identified by many as the best current alternative to the Google offering. You must create a Google Account in order to use Google Docs, but once that is done, sharing and collaboratively editing documents is very easy. Google Docs offers word processing documents, spreadsheets, presentations, and forms (which appear to actually be for surveys). Naturally, the use of each of these tools differs in various ways from other tools (such as the ubiquitous Microsoft Office), but it is not too hard to learn the different command sets. Advanced functions can be tougher to figure out, or may simply not be available. There is extensive help available at http://docs.google.com/support/. The collaboration process is simple: invite another user to collaboratively edit a document by sending them an email using the “Share” function. The invited user will get an email, and will also see the shared document in their Google Documents menu, and can simply open it and edit along with the original user. I imagine it might get rather confusing if a lot of users were editing a document at the same time, but in my test the process was quite manageable, as one user's changes quickly showed up in the other user's copy of the document. There is a revision history maintained automatically. As with Google Docs, I tested the Zoho Office Suite by creating a couple accounts, starting a new document (in Zoho Writer), inviting someone (my second account) to collaborate on the document, and then edited the document as both users. The process was straightforward. As with Google, a revision history is provided, but (unlike Google) one has to be in ‘locked' mode (not sharing the document) in order to access it. In my cursory overview, both Google Docs and the Zoho Office Suite look to be highly functional environments for collaboration, and each also offers a wide array of additional application tools. To learn more about each of these tool sets and how they compare to each other, I searched the web and found a good number of comparative articles (although many were rather outdated). Looking at those that were more recent (from this year or last), this January 2008 article rates Zoho as clearly superior to Google Docs, and this March 2008 article also favors Zoho. This June 2008 article favored Google Docs, but only slightly. I also noticed that Google Docs is still labeling itself as “Beta”, whereas Zoho is not, and this makes one wonder if Google Docs will remain available in its current form for the long term. I think the bottom line is that they are both solid apps and you're not going to go wrong with either one of them. It would seem to me that each of these tool sets could potentially be classified as a work group environment, but other tools that are marketed as such will likely have more specific workgroup functionality. I look forward to checking those types of sites out further next week. Have you used Google Docs, the Zoho Suite, or any other collaborative document tools on the Internet? What has your experience been? What would you recommend? If you haven't used any of these, has this article been helpful in providing some insight into these tools? Your feedback is greatly appreciated – please comment! Thanks. 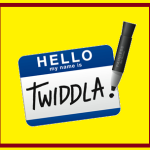 You’re welcome “Quakeboy” – You’ve got an interesting blog there at http://www.techtola.com. One simple suggestion I would make is to pop over to problogger.net and check out the “31 Days To A Better Blog” activity that has been under way in April (it’s just reaching the end, but the excellent suggested activities will remain accessible there for a long time). Great tips and insights into growing traffic, improving as a blogger, and ultimately monitizing. Hey thanks a lot for link. You have a nice blog here. as its related to Learning Teaching Collaboration etc..